Dual Credit/Concurrent Enrollment is a program designed to provide high school juniors and seniors the opportunity to earn college credit while still enrolled in high school. 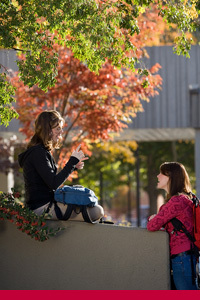 The courses offered at the University are not normally offered at the high school level. Admission to Dual Credit/Concurrent Enrollment is in Non-Degree status and is not considered “Early Admission” to the University. Students would would like to continue in degree status after high school graduation must fulfill the admission requirements described in the current UNM Catalog.